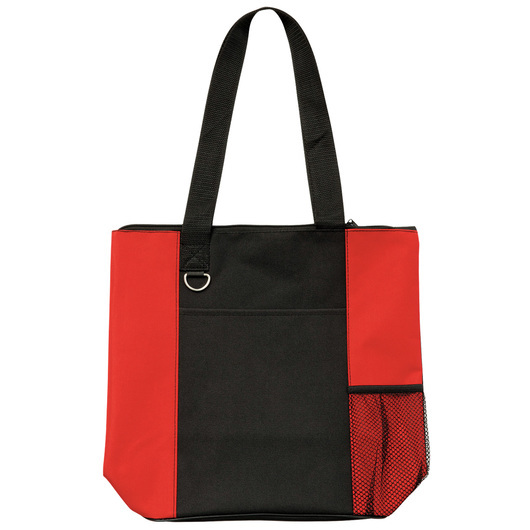 A durable, value-for-money zippered tote perfect for tradeshows, conventions, business meetings or anywhere you require a flexible, snazzy carrier. Tote bags are an essential need for your everyday life. 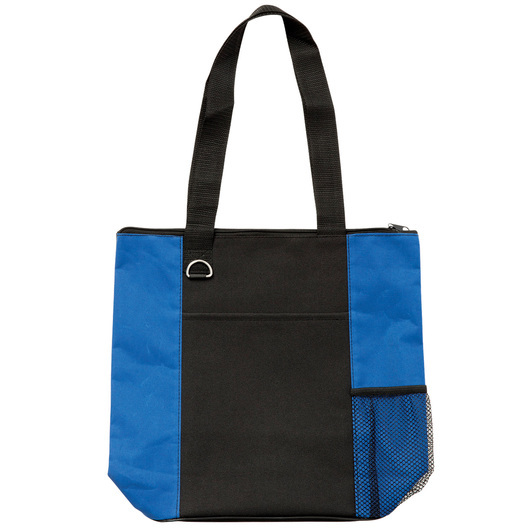 They are great for everyday use like shopping, school, work, and everything in between. 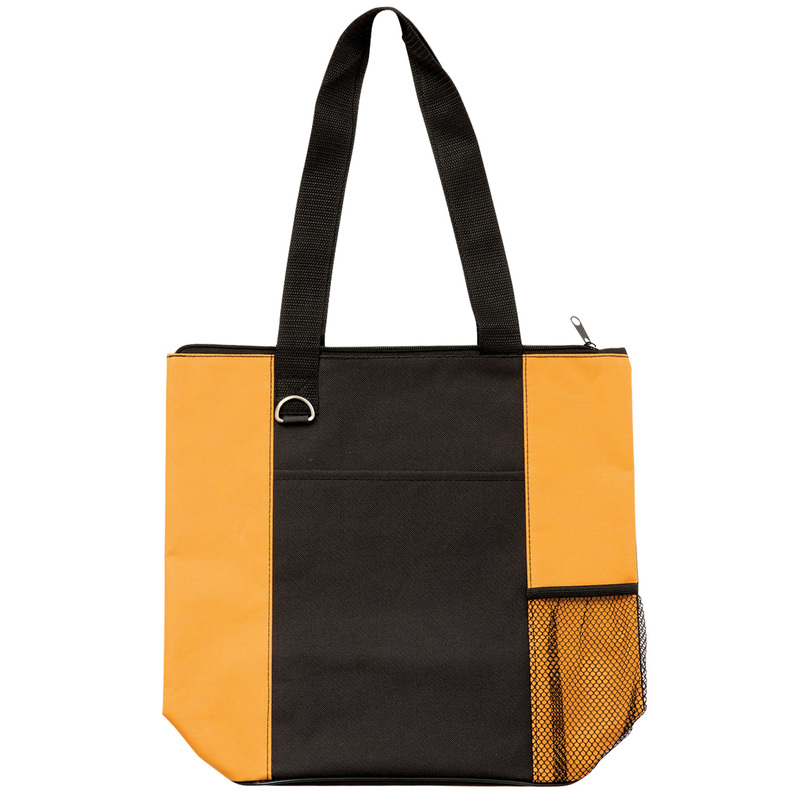 Made from 600D polyester material giving them stylish but sturdy construction. 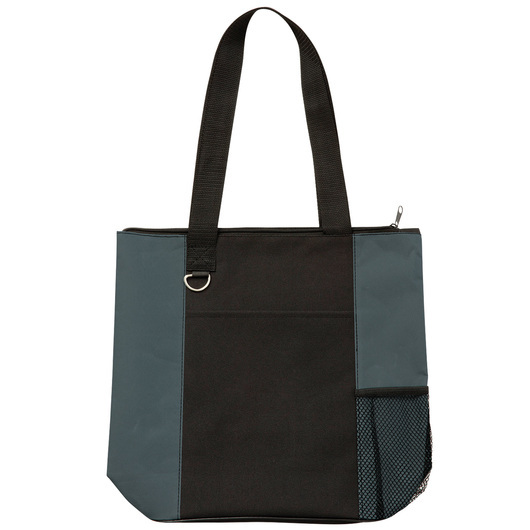 They also come with a zippered large main compartment, front slip pocket, webbing carry handles, quick access mesh pocket on front, business card holder on back, and D-ring for keys or carabiner.